The Tanzania Chamber of Commerce, Industry and Agriculture (TCCIA) Investment Company Limited has announced an increase of TZS 411.76 million in profit from its 2014 operations for a total of TZS 523.6 million. According to CEO of the TCCIA, Donald Kamori, the success of the firm is attributable to their prudent investments in profit-making companies that produce yearly dividends including National Microfinance Bank (NMB), CRDB Bank, Dar es Salaam Commercial Bank (DCB), TWIGA Cement Company, SIMBA Cement Company, Tanzania Breweries Limited (TBL), Swiss Port and Tanzania Cigarette Company (TCC). Mr. Kamori went on to indicate plans for the firm to register with the Dar es Salaam Stock Exchange (DSE). 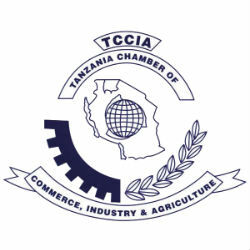 The TCCIA Investment Company is a public limited liability company that was established by the Tanzania Chamber of Commerce, Industry and Agriculture and registered in 1999 in a move to make the TCCIA a self-financing entity and to better empower its members to actively participate in the development of the Tanzanian economy.